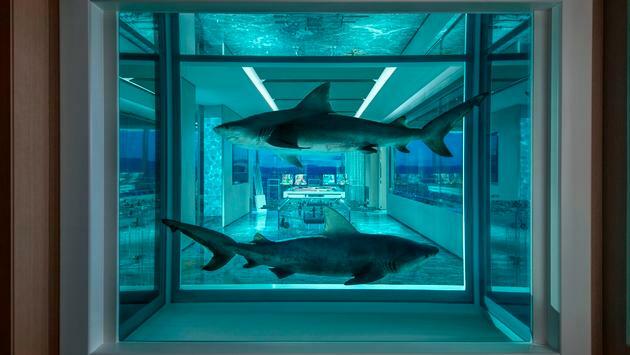 The Palms Casino Resort in Las Vegas just unveiled the Empathy Suite, a Sky Villa designed by artist Damien Hirst. Priced at $200,000 for a two-night stay, the Empathy Suite is one of the world's most expensive hotel accommodations. The two-story hotel suite is 9,000 square feet and features a custom butterfly-motif mosaic and collection of contemporary art. In addition to 24-hour butler service, guests will receive chauffer service, a $10,000 credit at the resort and access to A-list events at the Palms like KAOS Dayclub & Nightclub and the Pearl Concert Theater.